Who doesn’t love to save money? When we come to new country like America and a totally new place, we obviously don’t know much about the place and how people do there. We only know what we learn from others or explore ourselves. These are few money saving tips in US that I have learnt myself over a period of time and shared with my friends too. I wish I knew few things earlier too, but it’s never too late than never. You might be knowing these but there are still many people who don’t know some of tips that can be beneficial for them, even for those who come on visitor’s visa. Coupon codes: Although it is always advisable to shop during sale period but whenever you are shopping whether online or in-store, never ever forget to check coupon codes before heading to checkout. ‘RetailMeNot’ is by far the best. Online rebates/cashback: If one is an avid online shopper, he/she should definitely shop through ‘Ebates.com’. Saving can be from 2-10%. Not only this, you can get rebate on travel deals as well. Like, when my in-laws were here, I booked hotels from Priceline (through ‘Ebates’) and saved $30-40 per trip. Grocery cashback: Yes, you can get paid for buying grocery that you use in daily basis. Consider downloading applications like ‘Ibotta’, ‘Checkout51’ and ‘Saving star’. Store credit cards: Many retailers like Macy’s, Kohl’s, JCPenny, Gap etc. have their own cards and offer certain minimum discount every time you shop so if shop at particular store more often, consider getting that. For Target shoppers (even for grocery), there is a Target red card which offer 5% off on every transaction. Reward/Loyalty cards: Many stores like Walgreens, CVS, BestBuy etc. have reward cards or so called loyalty card, so every time you shop (prescriptions as well for drug stores) you get certain percentage of points in your account that you can further turn into dollars. Also, for stores like Walgreens, CVS you can open online account linked to your store card, clip coupons online and redeem at checkout. One more store like ‘Kmart’, has ‘shop your ways rewards’ program through which it randomly sends its costumers free surprise dollars/points to shop from. Gas cards: Though Sam’s and Costco gas stations have gas at lower price, one can use loyalty cards for Shell, Mobil or other as well (if you use these gas stations). I personally like Gas cards which I get from Publix, a $50 card for $40. If you shop from Publix and have a bill of $50 or more in groceries (even diapers, bakery), you can get your choice of gas card for $10 off (but do check store ad if the offer is running for that week or not). Baby clubs: If you are expecting or have a little one at home (2 yrs. or younger, 3 in few too), consider joining free baby clubs at Publix, Target, Amazon, Winn-Dixie, Enfamil, Babies’ R Us and many more, they not only send you high quality samples, parenting books but provide coupons too. Imagine I have a little one going to be 3 years in few months but I still get monthly coupons that include savings on bread/chips as well from one of store. One of best and simplest way to save big on diapers/wipes is Amazon Mom. You can get free 30-day trail as well. Newspaper coupons and online print: You can clip grocery coupons from newspaper or print from ‘coupons.com’, ‘redplum.com’, ‘smartsource.com’ and ‘pgeverday.com’ etc. Sometimes, you can get dollar off coupons (like $5 off $30 of shopping) in newspaper or in-mail store ads too. Few stores have their store coupons too, like wholefoods, Target, Walgreens, Publix etc. Check back your store’s website and their coupon policy. Also, never forget to take a glance of weekly ad of store you shop from before shopping. You don’t need to be a frugal couponer, even checking store ad in advance and planning can help you save. Local/ Travel deals: Need a spa, haircut, go for bowling or local sunset cruise, ‘Groupon’ or ‘LivingSocial’ will take care. Don’t forget to stack coupon code on local deals from ‘RetailMeNot’. For other hotel deals, check ‘Goseek.com’ or ‘Dunhill travel deals’ as well. Other good option is ‘Hotwire’s hot rate hotels’ or ‘Priceline express deal hotels’, these are unnamed branded hotels but you can crack a good deal according to your preferred star rating and guest score and don’t forget ‘ebates’. 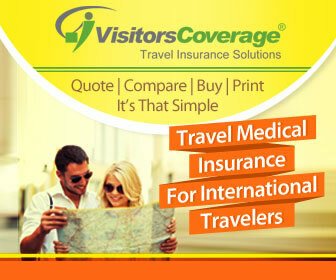 Compare prices: Whether you are buying travel insurance, car insurance or transferring money, do compare prices online. There are plenty of sites to do so, just ask Google uncle ;). For deals on specific product try ‘Deal Squad’, just add your product link and their agents will do all hard work for you for free and tell you the best deal. One more thing is ‘Price match policy’ in major retailers like Walmart, Target, Best buy, Home Depot etc. Whether in-store or online, if you find an item for lower price on other store than the store you are buying at, contact customer service and show them the other store ad, you will get your item at lower price. Walmart has another feature ‘Savings catcher’ on Walmart application where you scan your receipts and application compare Walmart prices with other retailers so if you bought something at higher price than the other retailer, Walmart will refund your money. Sometimes back, I read somewhere “Shopping is cheaper than a psychiatrist”, well yes, I have tried a number of times. Thankfully, I am able to save on my shipping trips. I hope these few tips will help all other people too, especially those in initial phase of settling here. My personal tip: Life is to live. Savings are important but they are not life, don’t live to save, live to enjoy and save while enjoying, Happy savings…Cheers!!! None of these pay me to advertise but these are my personal experiences. If you have additional experiences, please feel free to share with people. Thanks for the post. Is the Cashback from apps like Ibotta, savingstar is taxable? This is really a one of the best posts on such an interesting topic. To the point yet detailed. I have been selected in lottery this year (RP/Non-AD). My employer is ready to provide me 3 options to be selected from. St. Louise (Missouri), Charlotte (NC) or New York. Could you please suggest the best place to choose out of these 3 to get best possible life style with savings and safety? I am married with an 8 month old kid. Salary would be around 7K PM. Your suggestion will guide me taking right place to move to. Hey, thanks a lot, it’s good that you have options to choose, not many people have that. Well if you talk about New York, its cost of living is very high, living in Manhattan is way too expensive so you will have to live in near areas commuting at least 30 mins-1-hour minimum daily. It’s a big city so has got big city problems of too much traffic, crowd and pollution. But public transport is good, gives you future career opportunities too, a city that never sleeps, full of entertainment and everybody is racing. Rest the other cities, St. Louis or Charlotte, cost of living is very affordable with Charlotte on bit higher side. St. Louis is less populated urban city and commuting is not a problem there by car but may not hold future opportunities. Charlotte is bigger, denser, weather looks just bit better than St. Louis and job prospects may be better. I have been to New York but I don’t think I can fit there; my life is very peaceful where I live, my husband’s office is very close that he comes for lunch too and has plenty of time for us but everyone is different. If you have friends or team mates in these cities, you can discuss key points with them according to your priorities to make a decision. Do you think 7K PM is sufficient for Charlotte or I should negotiate?? Anyways, thanks again for your prompt reply. I appreciate it. What exactly pm means after 7k? It would be much beneficial if anyone put up an article or comment to look for like of items vs websites. I am new to US and having hard time to get to know which website is good for what. Mainly looking for Cheap, Quality as per the price spend, Varieties. For cars: Authorized dealers in your area, you can try to break them, they might go below $500-2000 of offer price but do check the ‘kbb value’ of car before. Electronics: Try to get open boxes from Best buy, they are fairly priced and may come with warranty for name branded product. Check ‘price watch’ computer related. Many people tend to buy big electronics items during Thanksgiving time but its bit far from now. You can try 4th of July sale. Clothes, Hand-bangs, shoes: Depends on what appeal your eyes. Apart from mall shops, multi-brand stores like JCPenny, Macy’s, Kohl’s etc. offer good discount. Many people prefer factory outlets or bargain stores like Ross, Marshall’s or Burlington coat factory though inventory remain limited there or may not be the latest. People may have different reviews for them but still they are crowded with people. You may get a normal plain V-neck tee from JC-Penny at $6 (Store Brand) or one from A &F for $12 but still both are good deals. Watches: Check Fossil stores at factory outlet and Time-factory, they have name branded watches at great prices but again may not be latest. 1. When purchasing gift cards from 3rd party sites, try to use them within the warranty period. These gift cards are resold to you and the original owner still knows the pin and number. Until you are in the warranty period, you are covered but after that if the owner uses that gift card, you will be in trouble. 2. When buying gift card from a store, make sure that the PIN has not been scratched off. Crooks would scratch the pin, note the number and pin and keep trying to see when the card is activated. As soon as it is, they will use it online leaving you with no gift card balance. 3. See if you can get a credit card which has a good cash back and good offers. I like AMEX offers which are periodically added to their cards. Citi Double Cash Back offers 2% cash back on all purchases. 4. If you are really into it, then look at bank bonuses. Lot of times banks offer bonus to open an account, maintain direct deposit for few months and/or do debit card transactions. If your employer supports splitting direct deposits into multiple accounts, you can go for it. Get the bonus, keep the account active for required timeframe and then close it. Remember to look out for 1099-INT which the bank will send later. 5. If you have a preferred airline, then have their mileage accounts. Accumulating miles helps in rewarding free travel later. 6. Whenever opening a new account, see if you can be referred by someone like family or friend. This way they can earn referral money and you can go on w/ your business w/ that account. Will add more, if something else comes to my mind. Another important tip is to get Citi Thank You Preferred or Discover card which gives a price protection option. Get something from somewhere for $200 and if you see the same product going down in price at a later point at a different store, you get a refund of the difference. One major observation from the Indian population in the US is, people always want to save something, but they think a lot to spend even a $5. A number of people live without proper bedding / furniture / entertainment systems. The difference between the way many people live and how they could otherwise live with some basic lifestyle items is generally 1 week/2 weeks salary. This is a habit of even people who are in the US for several years. Think that you came to the US 2 weeks late (later than when you actually came), and get some stuff that you can live throughout your stay. You will enjoy better. Not everyone is like this, but there is a good chunk of people who raise eyebrows even when one gets a $250 home theater system, or a premier bluetooth earphones. The quality of clothes in some outlet store is not comparable to mall stores – like Banana Republic, GAP, Old Navy Under Armour, Ann Taylor , Guess etc. . These retailers make clothes specifically for outlet sales. They jack up the prices and then sale them on heavy discount year around. If you check the prices 2-3 times in a week in mall stores (or their online store) you will get quality clothes cheaper than outlet stores. You actually don’t need the card under your name to get discount (card specific discounts). They usually send coupons for card holders. Now to get those discount you have to use store card only. You can use your friends card or coupons and then use the same stores giftcard to pay and also get discount. This way you don’t owe someone money (not saying you wont pay them back). Store credit charge way to much interest. Use them wisely. I think for card specific discounts you have to pay with store credit cards. At least that’s what I have experienced where they asked us to pay only with store credit card against gift card. Agree, there is no point of buying things on 10% discount and then paying 12% (just numbers) as interest on payment after due date. I have seen famous store gifts cards available at 20-30% discounts but they sell quickly so one need to act very fast. Outlet stores generally don’t have the latest models versus malls or online. Quality varies.. I don’t know about all the store. I have used giftcard to get card specific discounts at Macys, Banana republic, Nordstrom. To combine giftcard and card specific discount you do need the actual coupon in hand. I get them friends if they are not using them. Whereas if you are using store credit card then you don’t need the actual coupon. They an lookup in the system. I think many good options are listed in above article which i have personally used …. “Buy the things which you really need, and don’t just buy because you have a coupon to use”.. Yes, of coarse. One has to use coupons wisely, sticking up to set limits and not buying just because of coupons. Actually that is incorrect math. If the price is $100 then without coupon, you pay $107 (your example of 7% tax). If you apply coupon you pay $100*0.1*1.07 = $96.30. So discount is still close to 10%. But I agree w/ your rest of the comment in essence.